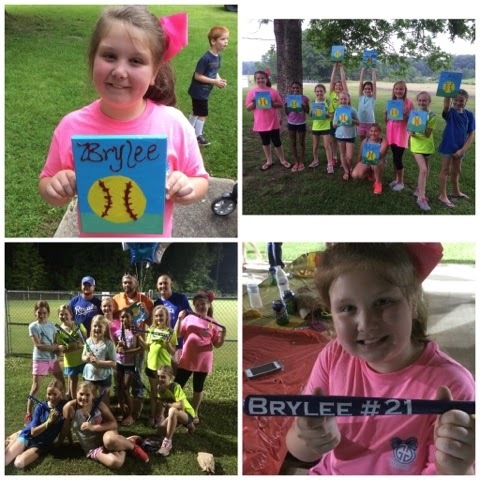 Monday, May 11th: Brylee's Softball Party! Brylee had the best little softball party! They painted these cute softball canvases and then we had a cookout and the girls got more gifts! They got personalized necklaces, wooden bats, and a wooden softball initial letter! Such cute gifts & an awesome party to end an awesome season. 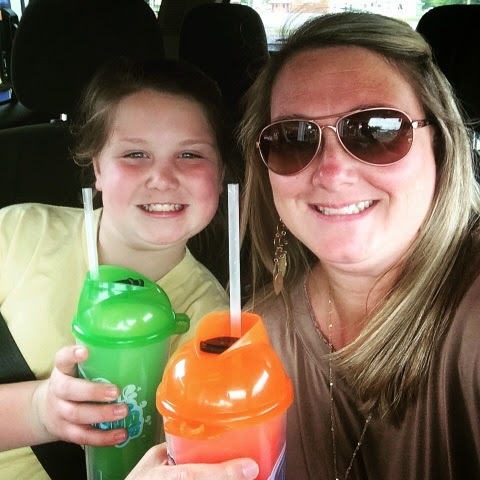 Tuesday, May 12th: Roo Cups for the WIN! I don't know if every area is obsessed with Roo Cups like our area is but these little cups are like liquid gold in our area! In case you don't know what they are; you purchase the cup and then you can refill it for $0.25 all summer long! Brylee ask to go after school to get a Roo Cup but our Roo was out so we went to the one in Columbiana to get them! These cups are always a sign of summer!!!! We will make many deposits and stops at the Roo this summer!!! 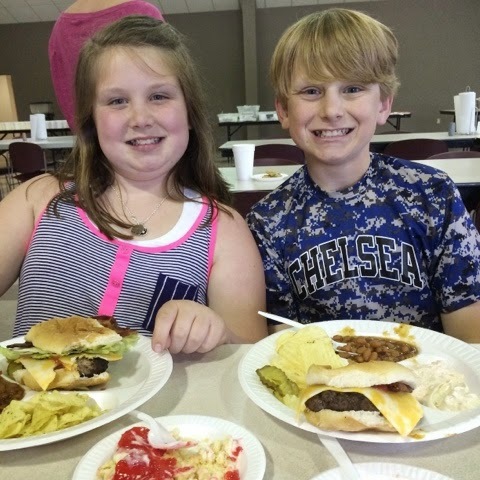 Wednesday, May 13th: Wednesday Night Dinner at Church! We love Wednesday night meals at church!!! Thursday, May 14th: Cheering for Graham! Tonight we went to the ball park and cheered on Graham in his play off game while his family watched his sister graduate from pre-school!!! I love watching him play! 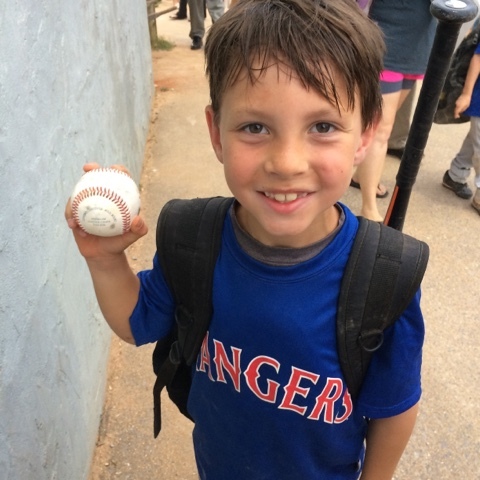 He is such a natural and made two diving catches at short and got the game ball!!! Friday, May 15th: TGIF and the last Friday of school!!! 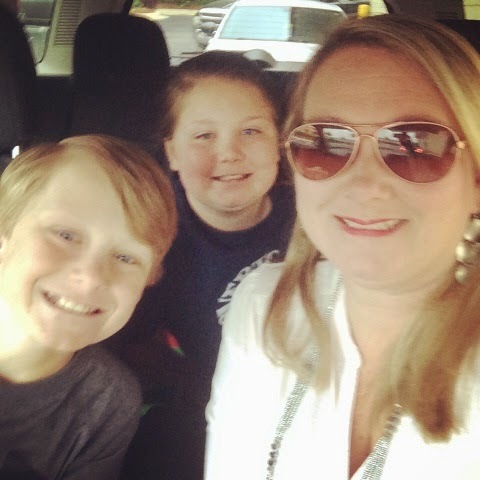 Jackson ask me this morning when we woke up if I would take them to get some "real breakfast" on the way to school! So off we went to grab some McDonalds breakfast before school!! Saturday, May 16th: Girls Day!!! 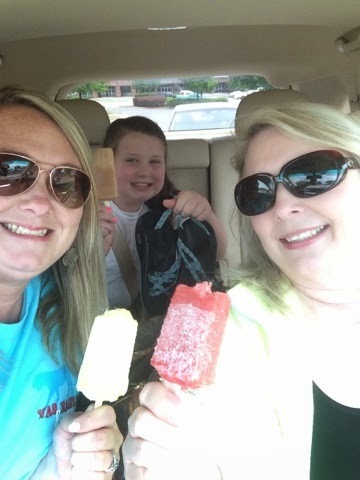 Brylee and I met GoGo for lunch at Ashley Macs, then we went shopping and sister scored her from chaco's and then we made a stop by Steel City for a Popsicle!!! It's was a super Saturday! 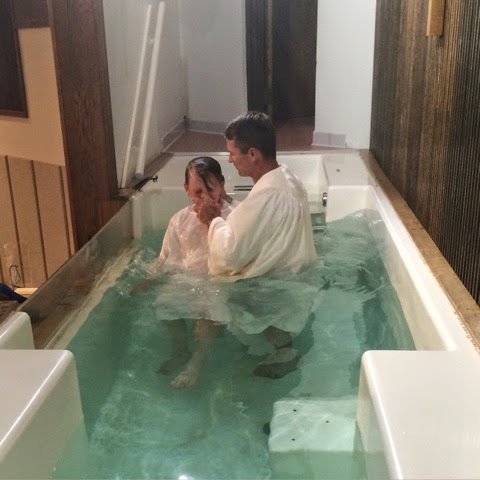 Sunday, May 17th: Jackson's Baptism!!! I know there are things my children will do and have done that will make me proud to be their mother! Today was definitely one of those times! Jackson publicially professed his faith and was baptized tonight at church! 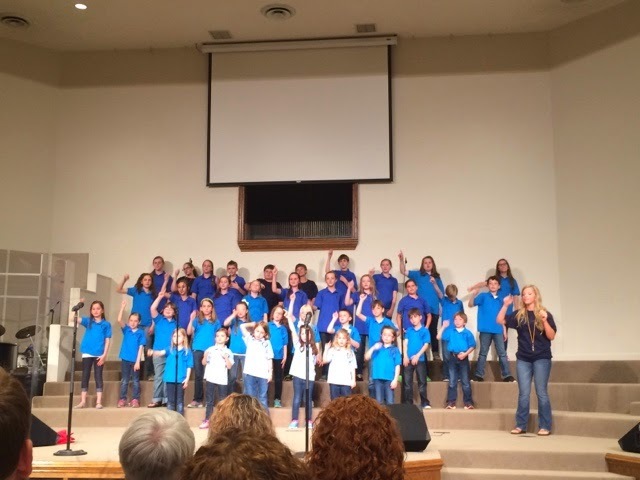 Brylee also sang in her choir concert tonight at church! 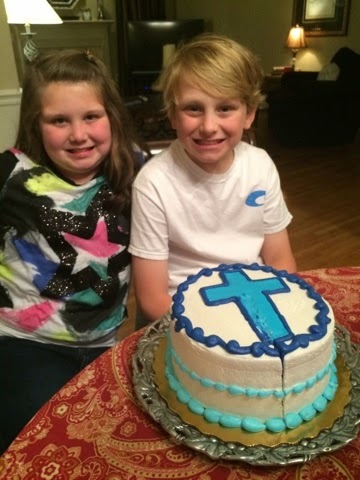 We came home and enjoyed dinner and cake with our families! 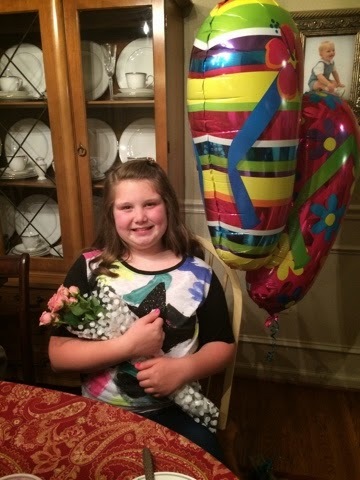 Brylee got some flowers, balloon & a few surprises! 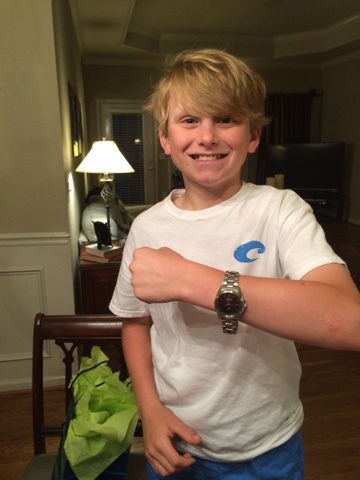 Jackson received some keepsake items: a watch with the date engraved in the back from GoGo and Grandaddy! 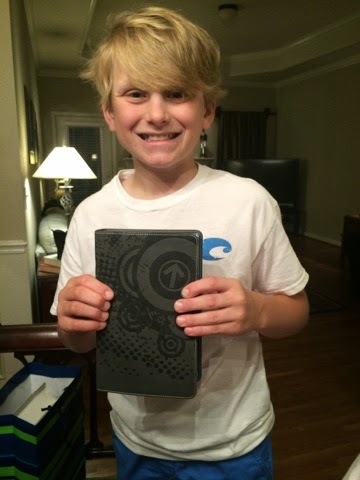 He also got a bible from Granny and Pap Pap! I am so proud of you Jackson!!! You make me proud to be your mom!! !